Back before Steam sales and Humble Bundles, boxed compilations was some of the best ways to get your hands on older games cheaply. Especially if you missed them the first time through. In my case I had recently bought a CD-ROM drive for the first time and after years of shuffling floppy discs I was looking forward to the seemingly limitless (650Mb!) amount of data that came with the new format. 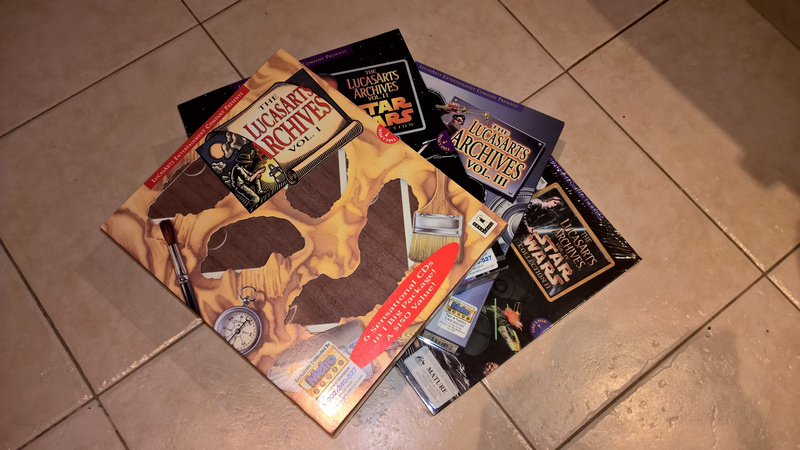 To be able to get a massive part of LucasArts’ PC back catalogue on CD-ROM was huge – I ended up getting most of their games of the era this way. 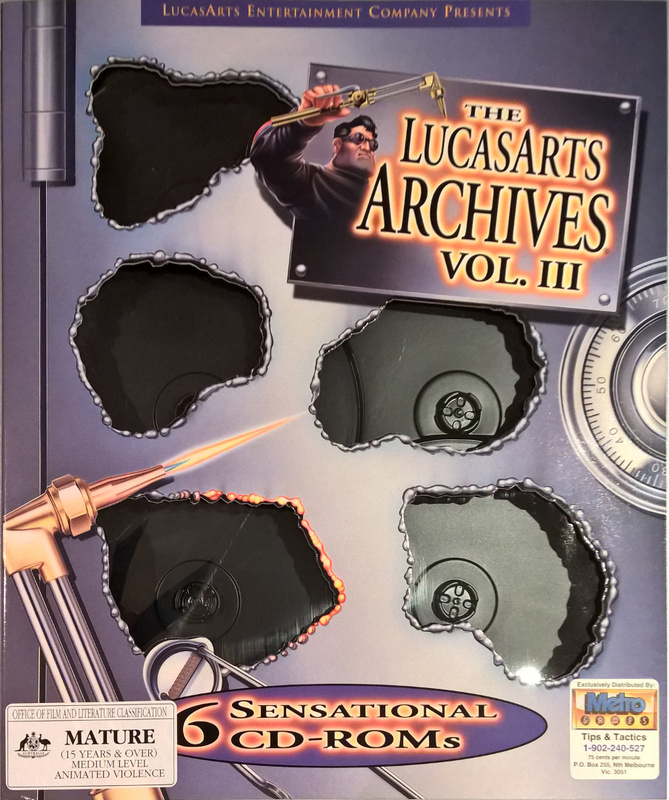 So I was feeling pretty excited to say the least when I saw the first LucasArts Archives compilation in stores. 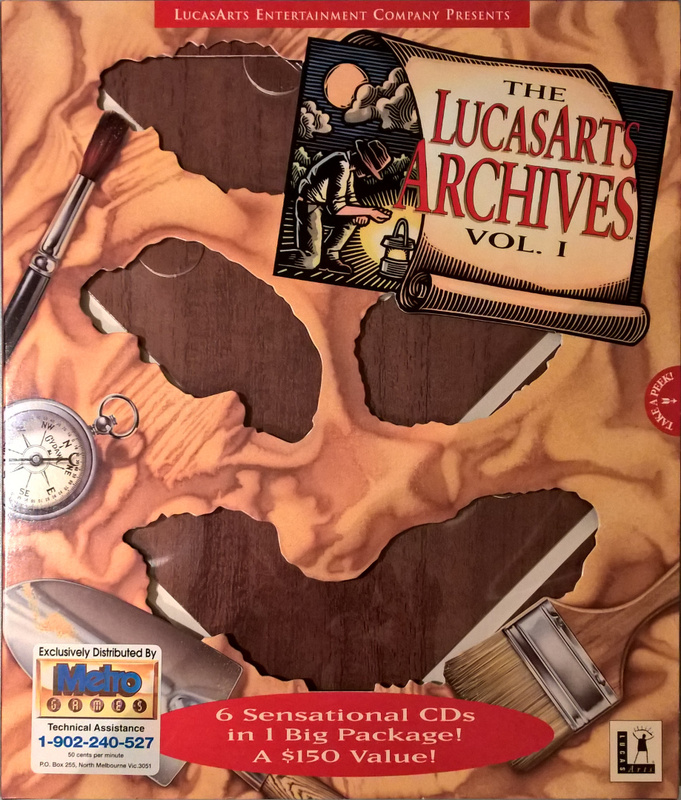 Though LucasArts had strong technology ties thanks to its sibling companies and the Star Wars juggernaut, it didn’t seem to be pushing the CD-ROM format hard in the beginning but did release early on enhanced versions of some games, in particular their adventures. With full speech during dialogue and in some cases redbook audio for the soundtracks, it helped move games closer to that movie-like feel that they were aspiring to. 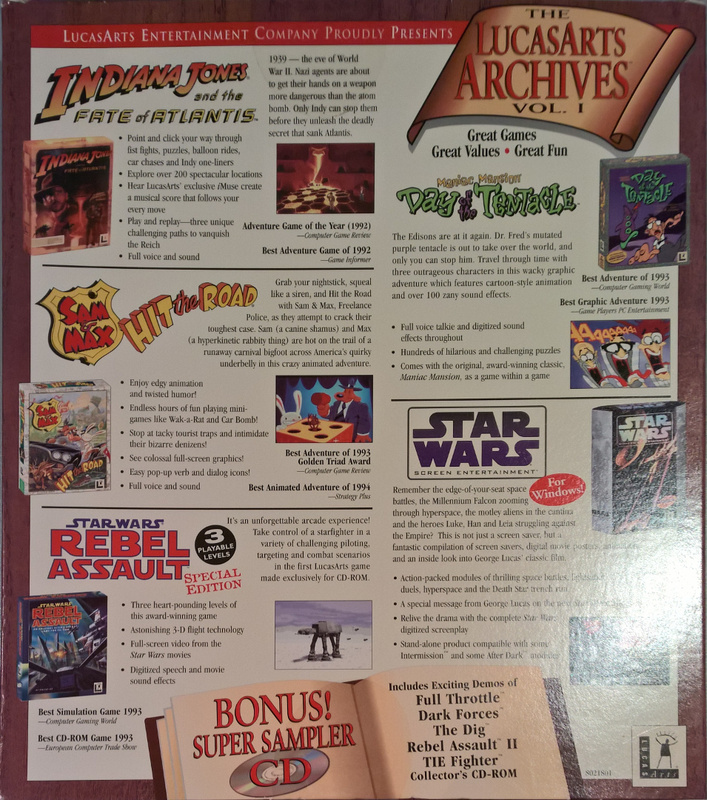 The marketing team at LucasArts definitely knew how to cross promote their products as each volume would include sampler discs of other titles in the catalogue. Some of these were fairly substantial demos too, well beyond what may have been previously offered. It gave players a taste for more games. The first volume that was released had a focus on adventure games with “talkie” versions of Indiana Jones and the Fate of Atlantis, Day of the Tentacle and Sam & Max Hit the Road. 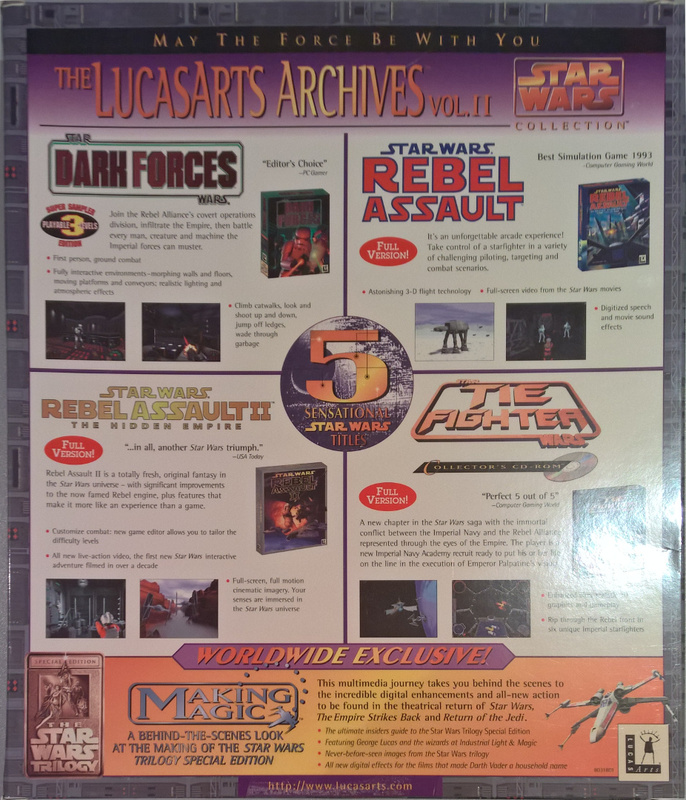 In addition, a demo disc was included plus a three level version of Rebel Assault. The screen saver oriented Star Wars Screen Entertainment is in there too but is one of those kinds of things at the time was more for the benefit of people still addicted to the flying toasters in After Dark. The three adventures come from a great pedigree and even now are worth checking out. Fate of Atlantis plays out like another film in the franchise while Sam & Max and Day of the Tentacle stand out thanks to both great animation and crazy humour. 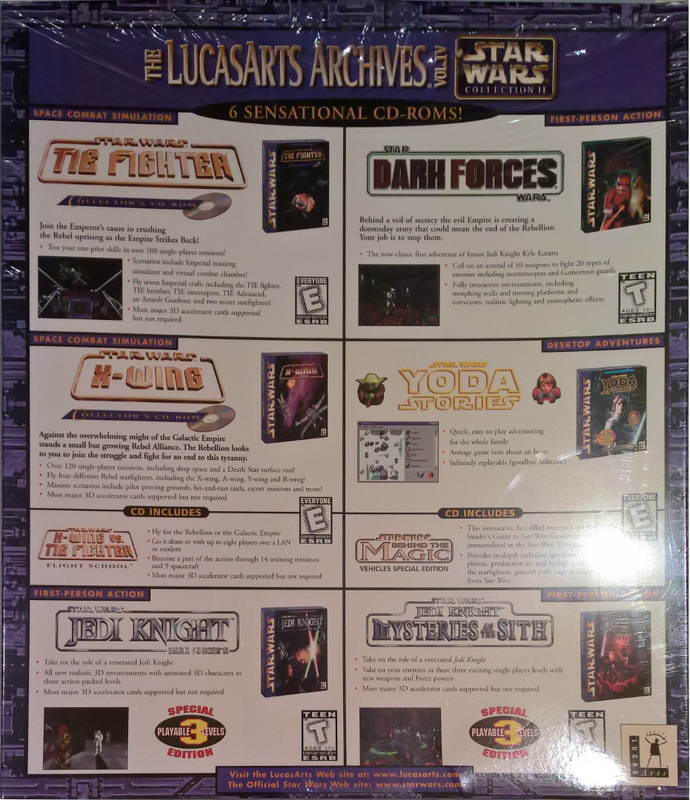 It was pretty clear that at some point LucasArts would eventually bundle some Star Wars games together and for their first shot they used a few multimedia showcases to really make the point. Though Rebel Assault and Rebel Assault II: The Hidden Empire may seem simplistic due to their FMV underpinnings they were incredibly successful in bringing the film experience to gamers. However the inclusion of TIE Fighter, one of the greatest games ever released on PC made this a must but for anyone who missed the game the first time around. 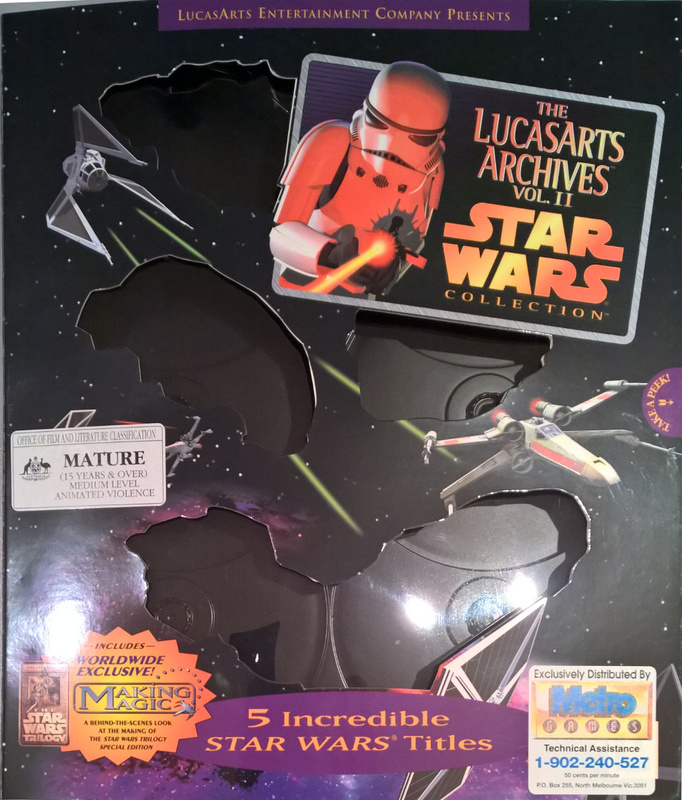 As a massive bonus, a new CD-ROM entitled Making Magic was included that provided a behind the scenes look at the making of the special edition versions of the original Star Wars trilogy. It was quite an exclusive at the time with an impressive amount of content. Lastly, first person shooter Dark Forces received the three level demo treatment this time around. A return to adventures again in this release with Full Throttle, The Dig, The Secret of Monkey Island and Monkey Island 2: LeChuck’s Revenge. Full Throttle was a remarkable looking game, taking animation and cinematics to a whole new level. Star Wars wasn’t left out here with the full version of Dark Forces being included – at a time when everyone was riffing off DOOM, this game succeeded better than others through its quality use of the license. The curiosity of this volume is Afterlife – a “God” sim where you are literally managing both heaven and hell. 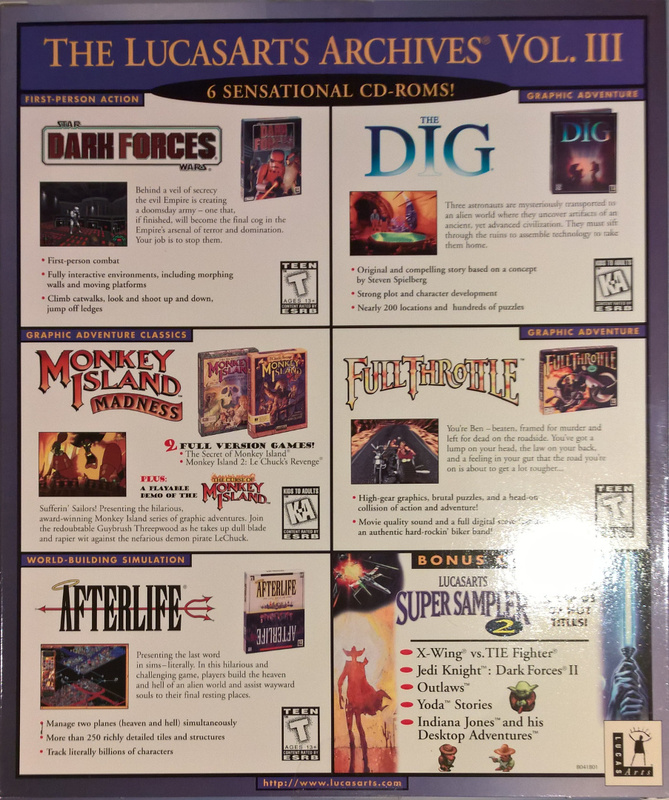 With the rest of the games in this bundle it does seem out of place but is worthwhile in showing that LucasArts were still willing to try something different every now and then. Closing out my collection is another Star Wars focused bundle, bringing TIE Fighter and Dark Forces back but now with X-Wing and Yoda Stories. 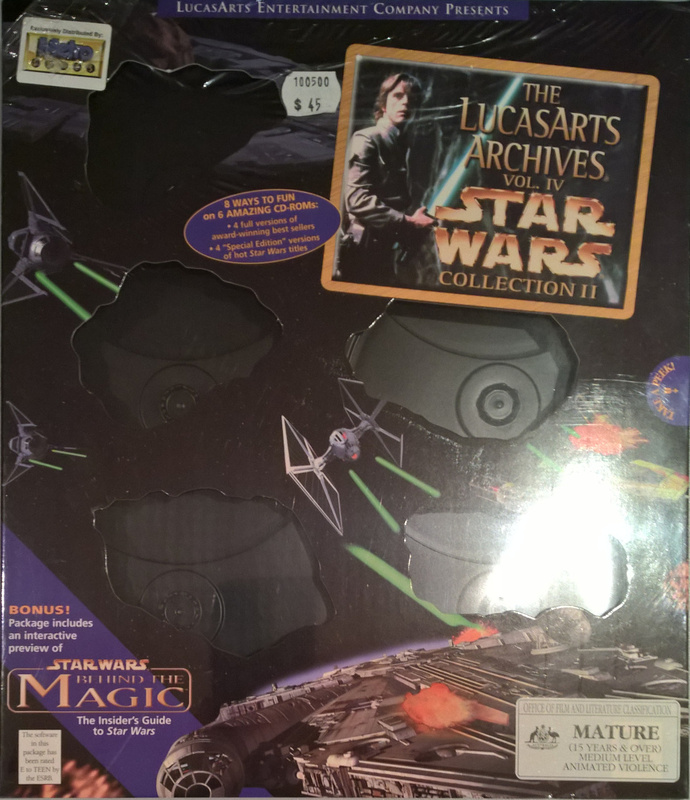 Three level demos included this time were for Jedi Knight and its expansion Mysteries of the Sith while there were samplers of X-Wing vs TIE Fighter and Making Magic. Of the four set I owned this was the weakest purely because a lot of it was available in other volumes with the exception on X-Wing. If Jedi Knight was a full version, it’d be an entirely different matter. The adventure games were always my thing, from Monkey Island through Grim Fandango. I should really get the archives, because I never finished playing some of them and still feel guilty about it. Read my current gaming blog (Sublime Confusion) for some of my own comments on their games versus Sierra’s games of the 80s and early 90s. Ron Gilbert pretty much revolutionized adventure gaming when he created the SCUMM engine and, later, kickstarted the Monkey island series. Kudos to the great Tim Schafer, too.